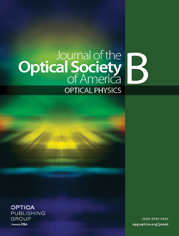 Using narrow solitons is a natural way to increase the data-transmission rate in soliton-based optical communications lines. However, in the present work it is demonstrated that it does not make sense to employ ultrashort solitons whose dispersion lengths Z0 are much smaller than the amplification spacing Za: In this case, the interaction between the solitons gives rise to stable bound states in which the temporal separation between the solitons only increases with a decrease of the soliton width. This is the reason why, when Z0 and Za are close, the case is potentially the most promising. Also in this case, however, resonance effects are possible. In the present work, resonance excitation of the internal vibrations of a fundamental soliton by the periodic amplification is considered analytically. Both the fundamental and the second resonances are analyzed in detail by means of a variational approximation. The most salient feature of the resonant propagation of the soliton is that it is bistable. Interaction between vibrating solitons is also considered, and it is shown that this interaction can be suppressed by vibrations with fairly small amplitudes, preventing formation of bound states. These resonant features are beneficial for use in communication lines. Emission of radiation by the vibrating soliton, which is a detrimental effect, is considered too, and it is demonstrated that it can be suppressed in two different ways: by the straightforward use of notch filters, or, in a smarter way, by the vibrations being switched into a range in which the first vibrational harmonic does not radiate.